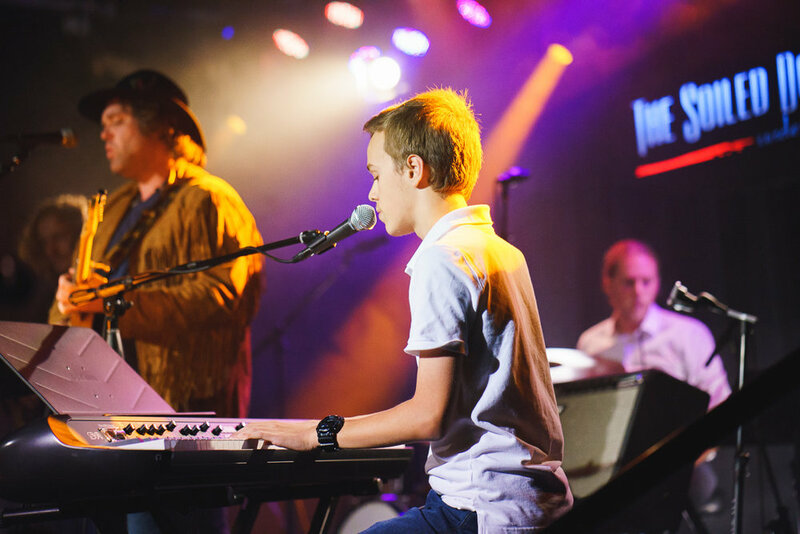 The lesson experience will provide a supportive, safe, and positive learning environment where students can build self-confidence in both themselves and their expression through music. The highest artistic standards and expectations will be maintained for all students, regardless of background and level of study, with the goals of both student and instructor in mind at all times. Challenge will be equally met with encouragement in an environment that hosts open and honest communication and an atmosphere of trust and mutual respect. We pride ourselves in leading our students on a journey of discovery, and we especially enjoy discovering together. That being said, we have experience teaching a variety of instruments, techniques, and other musical interests. The following categories represent our most popular lessons, but don't fret if you don't see what you're looking for. Contact us anyway because if we don't offer what you want, we probably know someone who does! Training the voice is an extremely personalized process, which is why we tailor the experience to each of our students. You are a unique individual, and your voice is no exception, so why would your training be a "one-size-fits-all" experience? At JLStudios, it ISN'T! We listen to YOUR goals and YOUR dreams, we assess YOUR current skills and YOUR unique instrument, and we work TOGETHER to find the best approach for YOU. We work to align our goals of HEALTHY vocalism and a lifelong passion for music with your desire to use your voice as an expression of who you are. We are passionate about helping you explore musical styles that interest you, and we even have FUN doing it! Are you ready to discover YOUR voice? If you're looking for the traditional piano lesson experience, complimented by standardized curriculum where lesson plans are outlined in a series of books, and recital pieces are assigned at technically "appropriate" junctures, you WON'T find it here. Now, before you get the wrong idea, we don't mean to "poo-poo" the "classical" approach, it just isn't the JLStudios approach. Our goal is to instill a lifelong passion for and engagement with music, and years of experience have taught us that in order to achieve this goal, we have to first understand how YOU want to express YOURSELF through music, and how YOU learn best. With YOUR goals in mind, we focus on the tools and techniques that will allow YOU to efficiently learn in order to get YOU playing the piano, and ENJOYING it, more quickly. YOUR goals, YOUR style of music, YOUR pace, YOUR experience. Let's get something out in the open...we ALL get a little "starry-eyed" under the steel-string-charming spell of the even adequately-skilled guitarist. There's magic in that instrument, and just admit it, you've had at least a moment where you thought it would be "so cool" to play the guitar. Well, we're here to tell you, it "IS cool" to play the guitar, and we want to help YOU experience it for yourself. There are so many styles and applications of this versatile instrument, but what we are the most interested in is what inspires YOU when it comes to learning how to play the guitar. Whether its gracing the stage in leather pants, jamming with your buddies in a garage band, or strumming away with friends and family next to a campfire under the stars, we want to show YOU how YOUR guitar-playing goals can be achieved...and we promise you'll feel the "cool" in no-time. performing his original song "never been to Paris"
WAIT! DON'T STOP READING! We know words like "theory" and "composition" can be intimidating, but before you run away screaming, let us reassure you that it's not as scary as you might think. In fact, you (yes, YOU) can learn about music theory, and we are willing to venture as far as to say that we think you'll GET IT too! We're even bold enough to say that we think you could learn enough to test your chops at composing music (yes, YOU!). 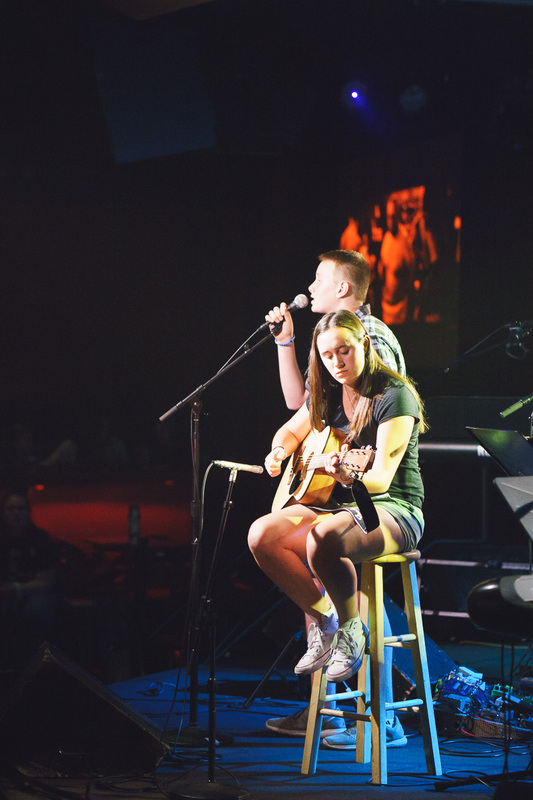 At JLStudios, all of our students learn some of the basics of music theory, and from our experience, we find students usually want to know EVEN MORE once they get a little taste. Now, if you've already caught the "Songwriting" bug, then we know you're already full of questions and ideas, and we're here to help with both. There are so many possibilities when it comes to creating music, and we have to be honest, we THRIVE on possibilities and one of our favorite things to do is explore them. So, don't wait another beat, the world needs YOUR music.